This came out so lovely! Had to share. 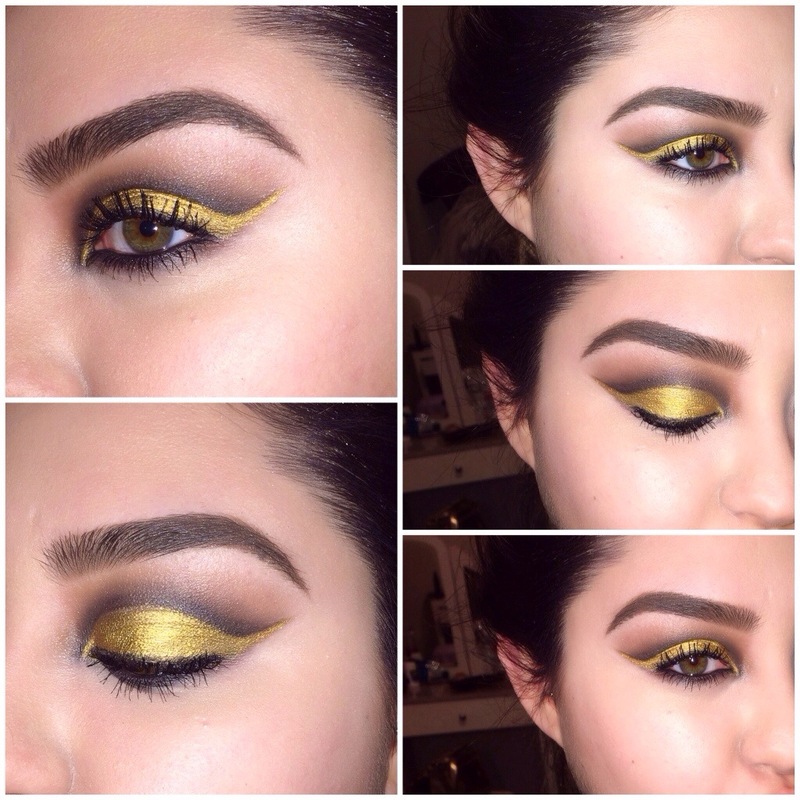 Loreal HIP gold eyeliner all over lid. Tarte holiday palette for the crease. The balm Mary-Lou Manizer to highlight. NYX jumbo pencil in black for eyeliner and to define crease.